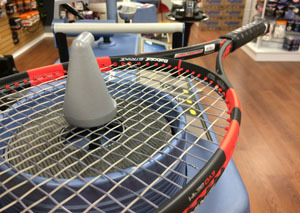 Stringing lies at the core of every shot you make. 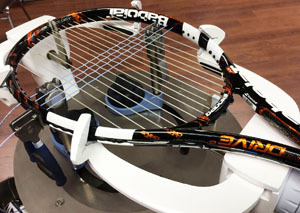 It is the easiest of customization that can make the biggest difference in the way your racquet plays. 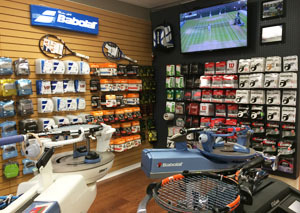 At Wrigley’s tennis, we have decades of experience and multiple high-end stringing machines models used by tour professionals as well as a Babolat Racquet Diagnostic Center (RDC) to measure pre and post stringbed conditions. 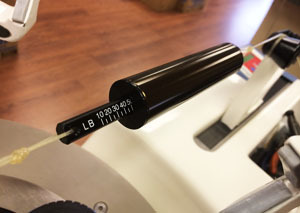 Electronic “Constant Pull” stringing provides the most reliable and repeatable results, multiple machines ensure your product turn-around in the event of a failure and diagnostics shows the proof in the workmanship of a completed job as well as better decision making on stringing frequency to save you money. All work is guaranteed to your satisfaction.